Teacher accounts are available online for Education subscriptions. Administrators can add an unlimited number of teachers to their accounts. 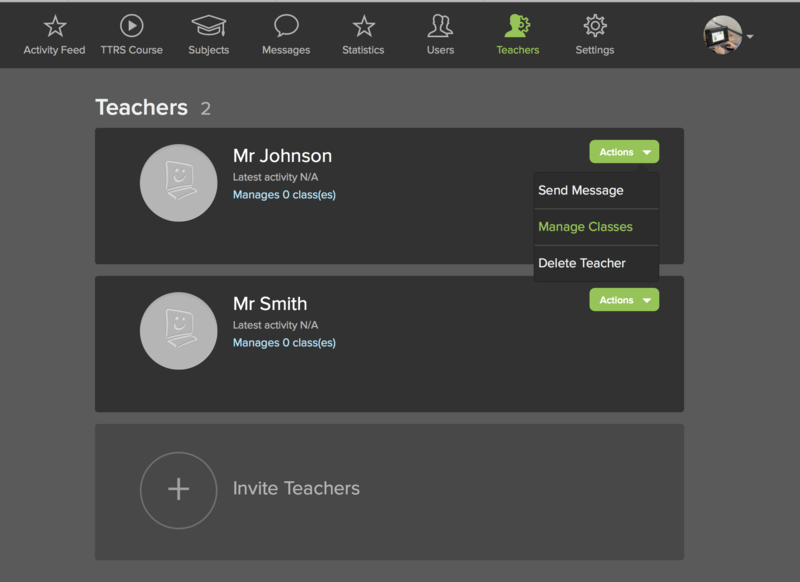 Teachers have full access to the course, can add new students, and view classes assigned to them. 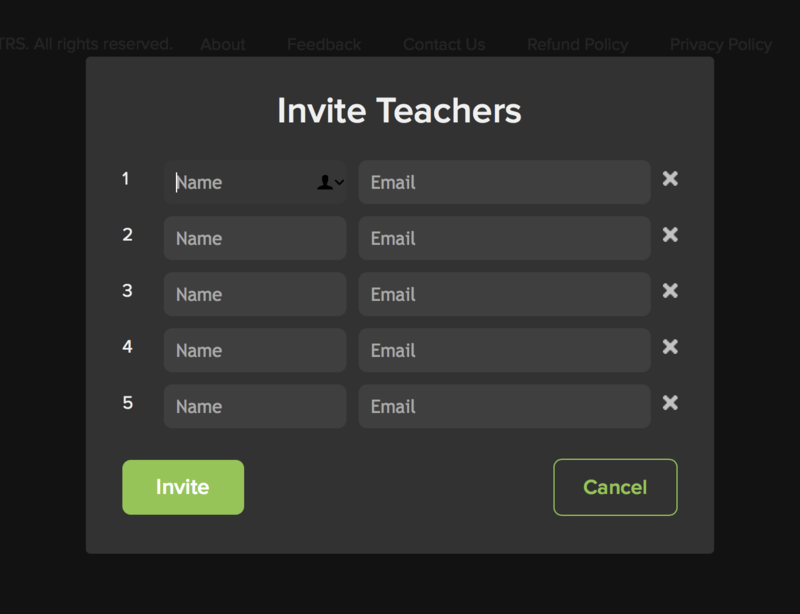 An email will be sent to each teacher with a username, password, and instructions for logging-in. 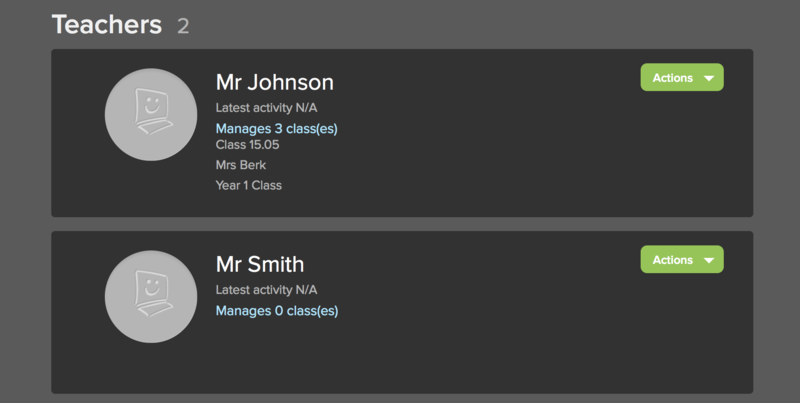 If you have previously added classes to your account, you can assign teachers to one or more groups. The list of classes will appear under the Teacher's name.